1. Admission brochure of college is fully authorized by act & Regulation, ordinances & statute of Lucknow Universtiy. 2. Cast of the brochure is Rs. 500/ 500 for Three Years / Five Years. Which can be obtained by paying cash at the fee counter of LAW COLLEGE. 3. Timing of Law College is 09:00 am to 03:00 pm. on all working days (Mon. to Sat.). 4. Candidates seeking reservation & weight age must attach relevant documents issued by competent authorities. 5. All the Documents related to educational qualification & certificates must be enclosed with admission form. 6. 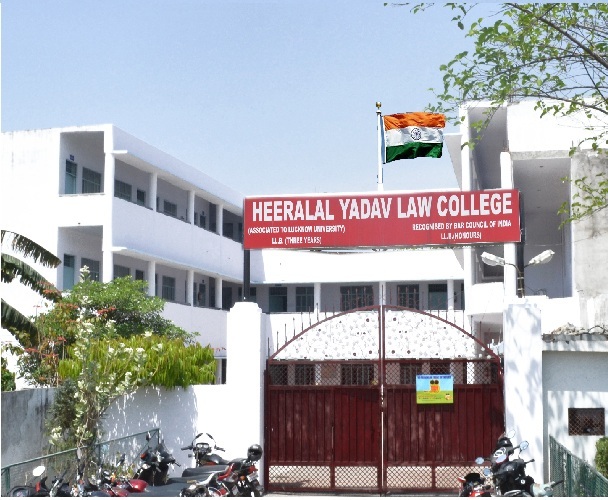 Candidates are instructed to participate in all the Co-curricular & Extra-curricular activities organized by Law College. 7. Admission fee deposited at the time of admission will not be refunded in any case. Years for SC/ST & OBC. Examination fee and other dues claimed by the Universtiy shall be payable by every students separately for all course. Fee once deposited will not be refundable in any case. Practical Fee will also be charged for Practical Examination prescribed in the semester of LL.B. (3 Years) & LL.B. (Hons.) Course. 1. Admission form of College along with Photograph. 2. Self attested Photocopies of all the educational & Professional qualifications. 3. Character Certificate issued by the Institution last attended. 4. Migration certificate in case of other Universtiy Candidates. 5. N.O.C. from parent department if serving in state/ central Govt. 6. Caste certificate/ Income certificate / Domicile for claiming fee reimbursement/ scholarship.